In researching blockchain-based games, there are a variety of ideas out there, from actually executing the game on the blockchain, to typical casino type games that mostly seem intended to hide the fact that you are gambling from the government. 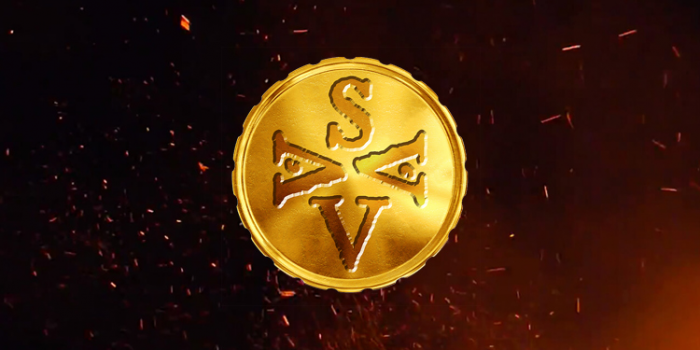 What SAAV does that I found compelling is tying its in-game currency to an Ethereum-based token they call SAAVcoin that is represented in the game as gold. The economy in Agame is a total free market, meaning that if someone wants to come in and pay no money and just spend time building up troops and resources to sell to other players in the market, they can do that, but they run the risk of having their village overrun because they didn’t spend time on the right resources. To a large degree, this eliminates the ability of someone to just sit in the game and build things up to sell to other players, and it keeps everyone playing the game. While the gameplay itself isn’t all that important for this article, I have to say that I was really pleased to see an ICO coming up that had something that already worked and was nearing completion in advance of the ICO. Now, let’s look at what they are doing with this cryptocurrency. It is both simple and slightly complex to get your head around, and that is because of the simplicity of the idea. The game is minting one billion coins (also called gold or SAAVcoin) as described in the opening. They are being sold for $.01 USD each (one penny) in the ICO. However, you will be paying with Ethereum (ETH), so exchange rate fluctuation can apply. There is a fixed amount of the currency, kind of like back when the U.S. was on the gold standard. The initial ICO will put almost all of the currency out and into the game, providing a measure of security knowing that the company can’t just flood the market again later and wreck the game economy. As I mentioned, players can buy things from each other in the marketplace for whatever amount they both agree upon. When players spend gold in the game for things like speedups, notifications or whatever, that gold goes to the game ecoysystem, not to a particular player, so it puts more gold in circulation from players that were holding it. Now, here is where it gets interesting; the price of the gold is based on what a buyer is willing to pay for it. With a large but limited supply, this avoids inflation in the game, but it could mean that later on in the game, the price of gold might be $.05 USD to buy or whatever price the market dictates. The real-world economics make for an interesting aspect of the game play. The SAAVcoin ICO has built-in limits so that no single buyer can get all of the coins and control the economy. They are also talking about giving 1000 SAAVcoins to each of the first 1000 buyers who also then join the game once it is available – so an incentive to buy early and then play early. SAAV is expecting to have the ICO in mid-October, so sign up at the SAAVcoin website to get on the registration list. It doesn’t obligate you to buy, but it does allow you to reserve a slot. You can also follow news and talk to the company on Twitter or Reddit. Of all the companies I’ve looked at so far, this has been one of the easier ones to understand how to use it and what the use case is for it. The company will be posting very clear instructions on how to acquire their SAAVcoin token, so make sure you are ready. It sounds like buying with Ethereum will be your only option, but that could change by the time they launch.